Common Grounds Coffee Bar is a coffee shop that strives to bring high quality coffee while cultivating a community-driven environment. We proudly serve Rabbit Coffee Roasting Co. From our Guatemalan roast to the Mexican roast, we have coffee from all over the globe. In our passion for coffee, we also want to bring people from all different backgrounds and provide a place for people to find common ground! With amazing coffee, outrageously tasty pastries, live music and open mic nights, and community meetings, we hope Common Grounds Coffee Bar becomes a destination for you and the community! 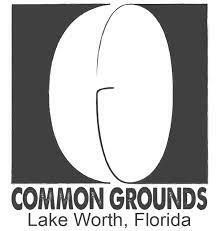 Common Grounds Coffee Bar is a program of Common Ground Community Development, a non-profit organization dedicated to restoring, empowering, and uniting the community through the arts and social entrepreneurism.